Since roughly one month I see an insane increase of google's advertisments at web-search. 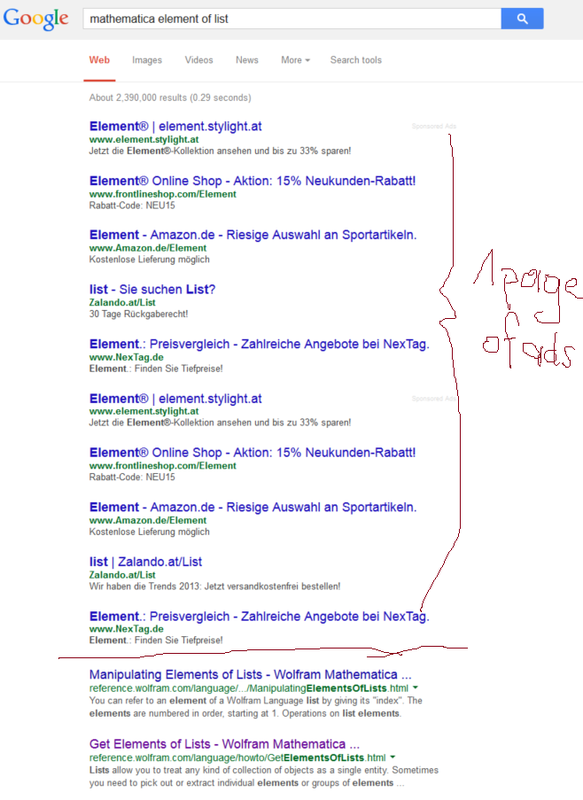 Nearly the whole monitore is full of ads, I have to scoll down to see some search-results (see the example). Before, the search results appeared, and on the right, in some yellow box, there were the ads - perfectly separated. Now google tries to trick me. The ads appear roughly 0.5sec after the normal search results, so when I already wanted to click at the first result, I am accidentally clicking at the first advertisment link. This is driving me crazy, I can't believe that is on purpose, so I wonder whether this could be some sort of adware that installed itself to firefox, or how I can deactivate it? I'm using Firefox and Chrome on Windows8. I've installed Adblock Plus, but it doesn't help. It happens on Firefox and chrome, and I just realized that all those "google"-links actually link to "www.flwsrf.com" , for example from chrome. As suggested in the comment by Rounin, I installed CCleaner, Ad-Aware and SpyBot, but they dont find anything. Your screenshot doesn't look like a standard Google Results Page. My best guess would be that you have some malware on your system. You'll need to scan your system, find the malware and delete it. Try CCleaner and Ad-Aware and SpyBot Search & Destroy (all free) from Download.com. You might also try uninstalling Firefox and all extensions and then reinstalling Firefox. Not the answer you're looking for? Browse other questions tagged windows-8 google-chrome firefox advertisements or ask your own question. Why doesn't Chrome's AdBlock extension work as well as the one in Firefox? Why Firefox doesn't show Google Adwords? How to stop Google Chrome taking over Internet Explorer? How to remove clk.konflab.com ads from chrome search results? How to get rid of Google search ads on top?